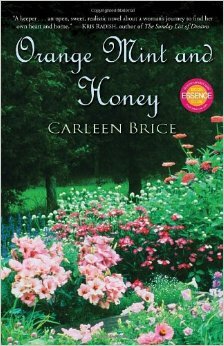 Orange Mint and Honey by Carleen Brice tells the story of a mother and daughter whose differences push them to realize that they are not as different as they think. Shay Dixon, a stressed out graduate student, decides to come home after her spiritual adviser, blues singer Nina Simone, advises her to do so in a vision. Shay, who hardly ever speaks to her mother Nona, decides to take a break and come home after being away for a very long time. Shay has no good memories of Nona growing up. Her mother was either drunk, hung-over, or out with her latest good-for-nothing guy, leaving Shay to fend for herself. Nona was not the exceptional mother Shay wanted or needed, so once she was able to take care of herself, Shay disowned her mother because she never felt any love from her anyway. Once Shay goes back home, she discovers a Nona she does not recognize. Now sober and with a positive outlook on life, a love of gardening, and a toddler named Sunny, Nona is the ideal mother Shay wished she had growing up. Shay cannot wrap her head around this person her mother has become since she is not who she grew up with. She finds herself being angry at Nona for being able to change for Sunny but not for her. She blames Nona for all her problems and for stealing her chance at having a normal life. Nona is a changed woman. She puts in a huge amount of work to sort herself out and become a better person. She knows where she went wrong with Shay and does her best to prove to everyone that she is a great mother. Shay notices all the little things Nona does for Sunny but still cannot acknowledge that Nona has changed. She expects Nona to just disappoint her again like she always has. Nona apologizes over and over again but it is not good enough. Shay refuses to see her mother as this changed woman and just waits for her to screw up, which makes it very hard for Nona to get close to her as she refuses to meet her mother half way. The characters are very realistic to people who are hurt and hold grudges to keep from being hurt again. Shay and Nona have a very dysfunctional mother-daughter relationship, which can be relatable to the various relationships we encounter in life. This relationship takes a toll on the protagonist who not only has to deal with her repressed feelings towards Nona, but her own affection problems towards other people. Shay finds herself facing various opportunities to grow. She gets a job at a record store which leads to her first real romantic relationship, but when an unexpected crisis hits, Shay truly realizes who she has to comfort her. The novel is very descriptive and the relationship between Nona and Shay is very realistic. It becomes hard to side with one character because you can see the hurt on both ends. It is well written and Brice does an amazing job of truly capturing the mother-daughter relationship as well as personal growth, getting past hurt, letting go, accepting you can’t change the past, and learning to see things differently. Carleen Brice is the author of Lead Me Home: An African American’s Guide Through the Grief Journey, Orange Mint and Honey, Walk Tall: Affirmations for People of Color, and she edited the anthology Age Ain’t Nothing but a Number: Black Women Explore Midlife. 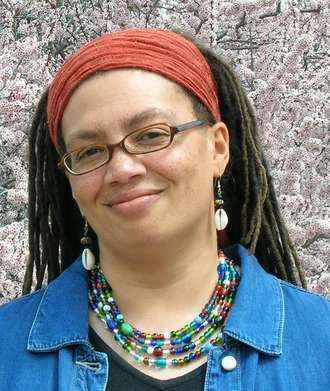 Her book Orange Mint and Honey was used to create the Lifetime Movie Sins of a Mother, which won the 2011 NAACP Image Award for Outstanding TV Movie. Brice lives in Colorado with her husband.